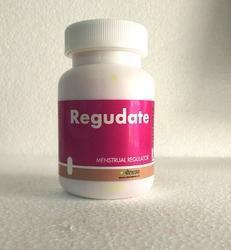 Offering you a complete choice of products which include leucorrhea syrup and herbal menstrual regulator capsules. Leucorrhea is considered to be one of the most horrid health concerns of women across the world. Female genital tract is quite susceptible to infections, particularly infections such as trichomonal, chlamydial and candidial. Malnourishment, poor hygienic conditions can further impair the host response and can markedly increase the susceptibility to plenty of vaginal ailments including vaginitis. 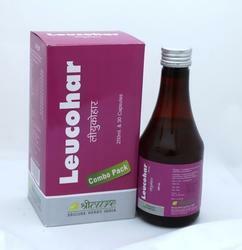 Leucohar Combination pack is an ayurvedic medicine for general debility in ladies ,leucorrhoea , irregularities of menses and anemia.